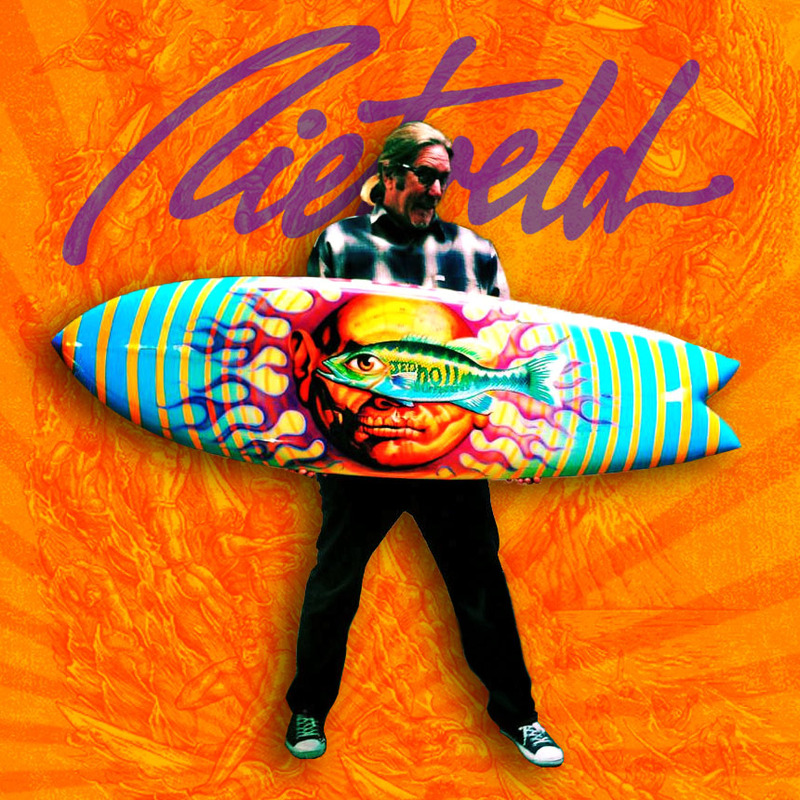 Rick Rietveld is a Southern California native and best known for his achievements as an artist, innovator, and entrepreneur. 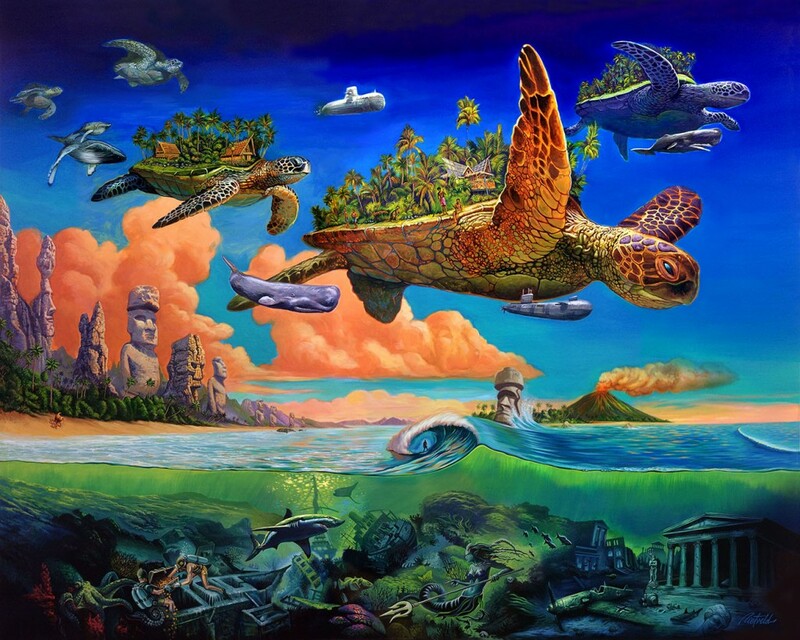 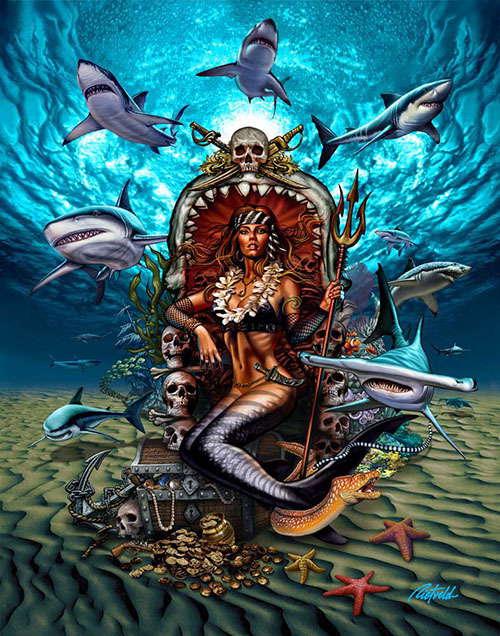 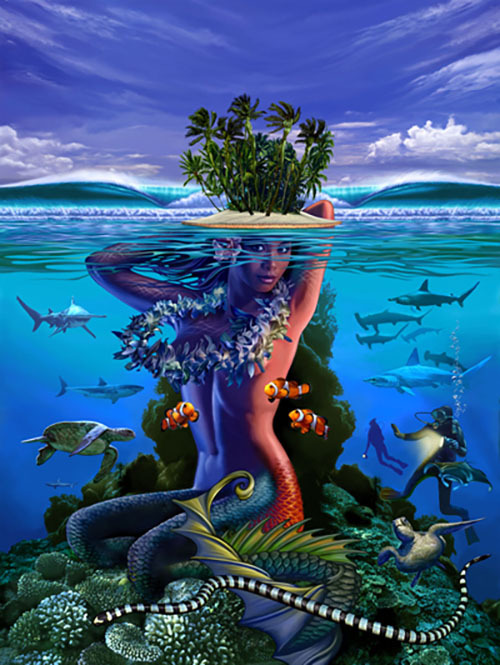 Rick has been heavily influenced by the surfing life-style and many of his creations are thematically related to the ocean or contain surfing-related imagery. 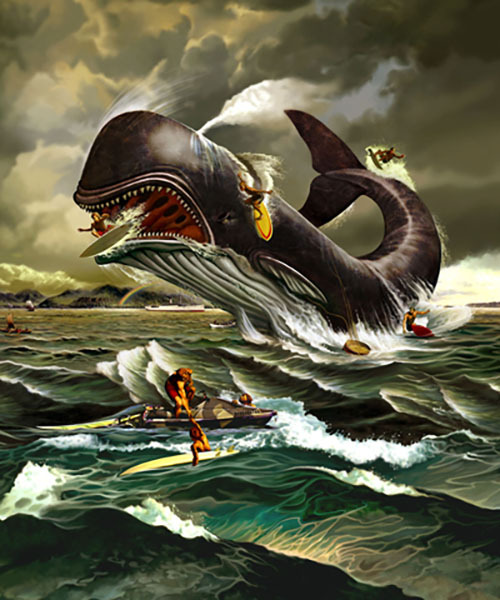 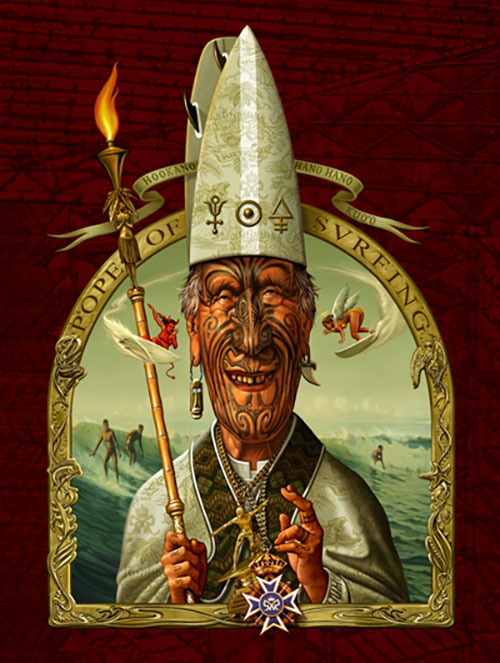 He also incorporates other influences such as surrealism into his works. 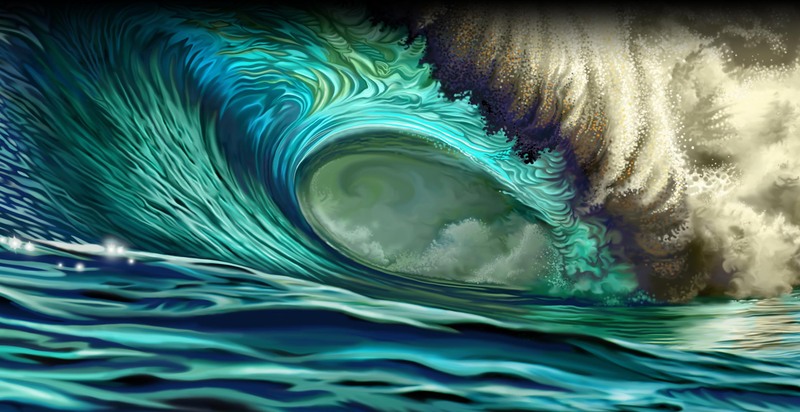 As a surfer, his art has it's roots in Southern California’s surf culture and Rick has designed artwork for Quiksilver’s Eddie Aikau and G-Land surf contest. 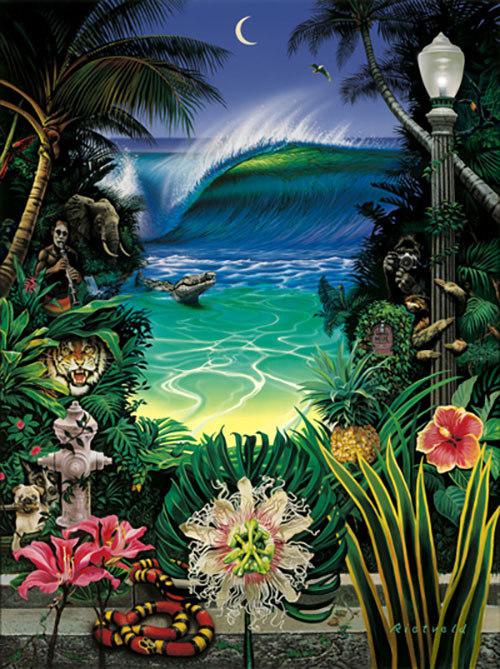 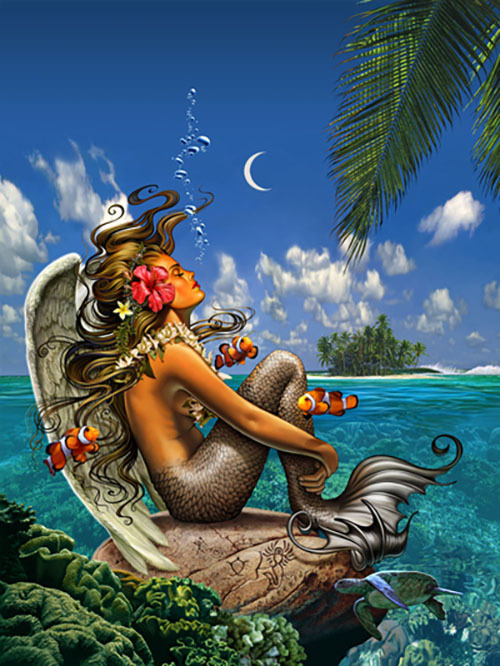 Rick co-founded the popular surfwear company, MAUI & SONS in 1980 and his artwork launched the success of the companies image and popular appeal. 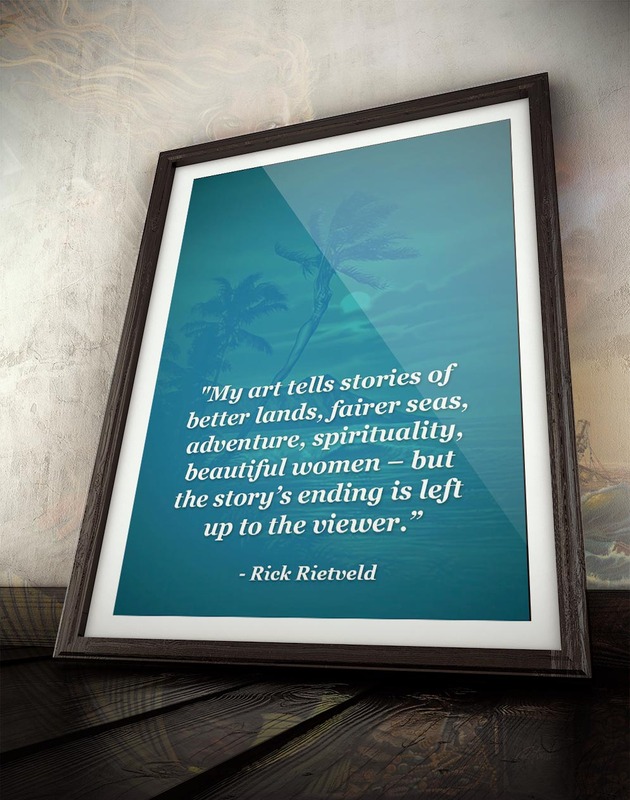 Today Rick stays busy working on commissioned custom works of art for companies and individuals around the world. 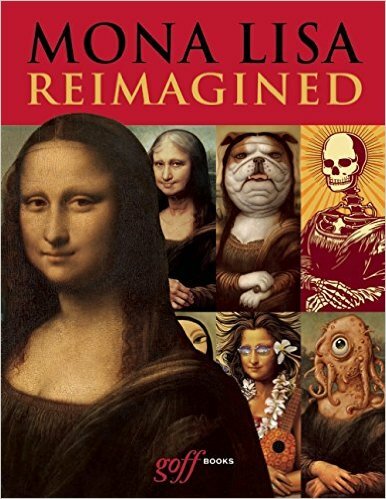 Hi friends, I just received my new Mona Lisa Reimagined book which features my “Mona Kea” version on the cover and full page inside the book. 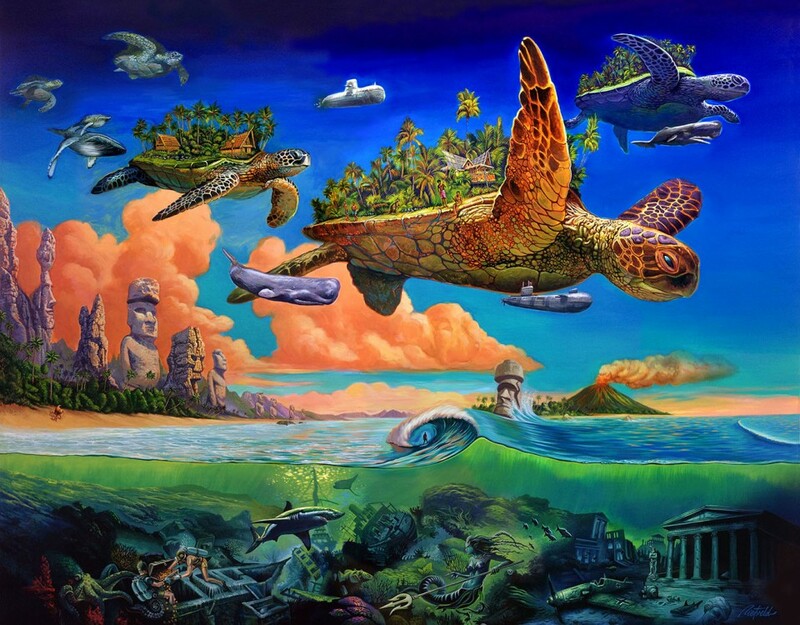 A really cool fun book to see hundreds of various artist’s versions of the famous painting by DaVinci Check it out!